In the changing automotive industry, software is becoming a critical differentiator. It enables key features that set you apart from your competition. Your software is built on the architecture you pick. It sets engineering boundaries and provides rules and cornerstones to which your applications and software modules must conform. That means picking the right architecture has a lasting market impact. EB has the know-how to help you pick the right architecture and define infotainment and electronic control unit (ECU) Software Architectures that offer a separation of elements, easy maintenance, and the ability to reuse assets. We’ll help you create a foundation that support successful large-scale software projects and enable software reuse to reduce development time and costs. by reusing software code for new devices and car models, as well as by reusing the custom development environment in future projects. by making the right choice and using proven third-party software and open-source systems. and become more responsive to market changes by using modern software development methods. of your code by avoiding supplier lock-in. Develop high-quality software and functions faster. EB’s Functional Safety efforts began in 2008. Since then, EB has become recognized as one of the leading companies in the area of Functional Safety. Our certified safety products and safety consultancy are used by many notable businesses, worldwide. EB has defined methodologies to combine agile software development, used in the broader software engineering industry for over 15 years, with automotive industry standards and requirements. These methods let automotive developers quickly address the continuously changing and complex demands of market. Conventional software development methods don’t effectively support the complexity involved in automotive software development projects. So Elektrobit developed the Software Factory concept to overcome that complexity. 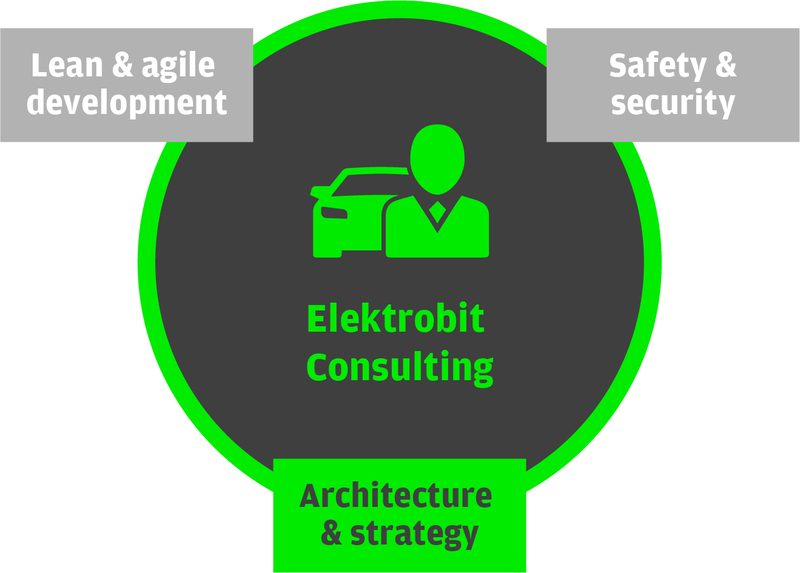 Elektrobit provides products and solutions to carmakers and Tier 1 suppliers for all phases of the development cycle. Software engineering is a particularly important and often underestimated aspect of development projects. Rely on EB for assistance.